The Newsletter functionality is available on all paid plans; each site on a paid plan gets twelve (12) available newsletters each month to send to their userbase. This functionality can also be found on the Admin Menu -> Features -> Newsletter -> Newsletter area of your site. 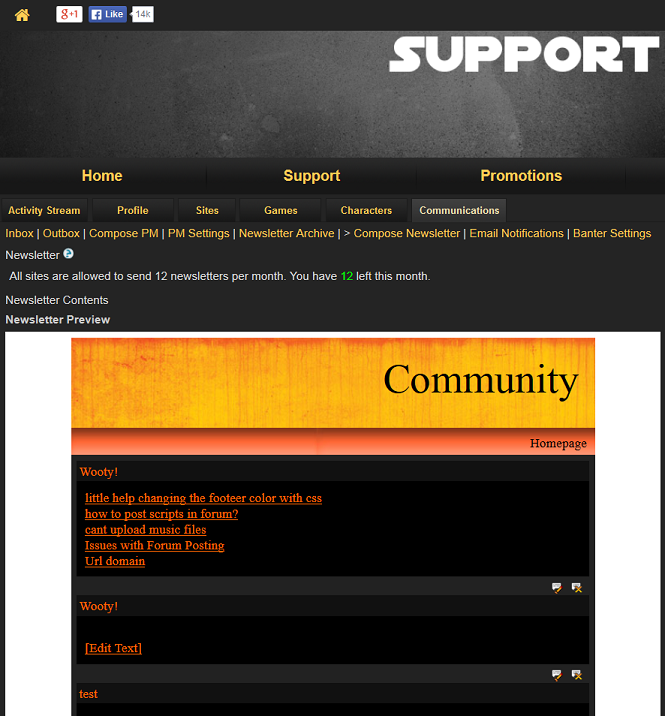 From this page, you can customize how you'd like the newsletter would look, what it's named, etc. And once you've done all that, you can send it to your users (unless a user has manually opted out of receiving newsletters).